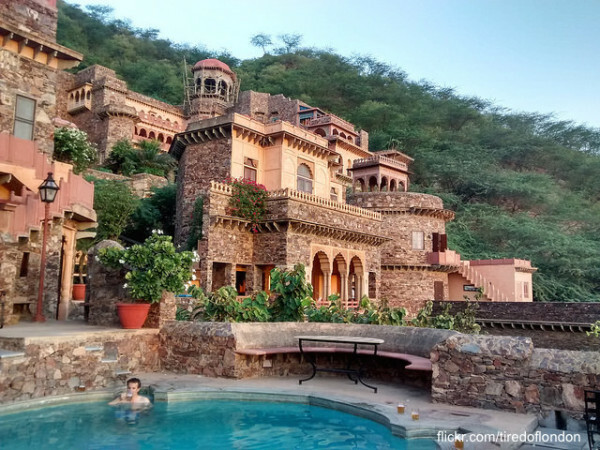 Popular among the locals in Delhi and surrounding areas, the Neemrana Fort-Palace makes for an exciting weekend getaway. Dating back to the 1600s, the palace features seven wings and 14 tiers all built into the hillside. The property also boasts two pools, a six-acre garden, and a luxury spa. It is also the site of an impressive zip line – the first one built in India.